Live At Leeds is quickly approaching and if you don't have any plans over the bank holiday I'd get this booked in if I was you. 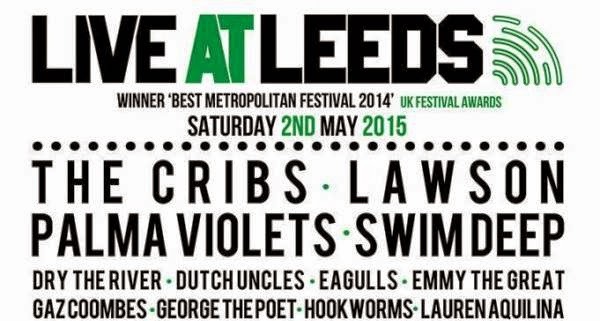 Live At Leeds really is one festival that you can't miss, you can catch artists or bands you may already know but the best thing about Live At Leeds is discovering that band that you didn't plan to see and had never heard of and coming out of it with a new favourite band. 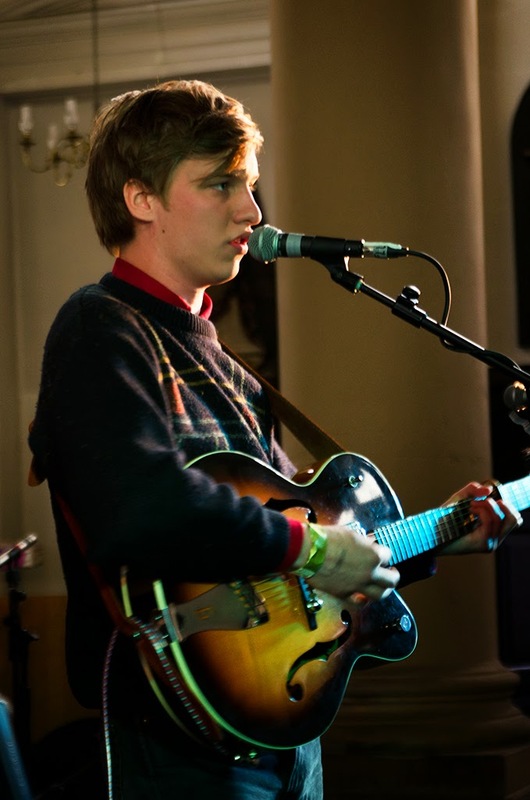 Last year at LAL it was not only one of the first festivals but one of the first places to discover artists such as George Ezra, Royal Blood and Years & Years. Other years in the past there have been Alt-J, Rudimental, Ed Sheeran, Mumford & Sons, Sam Smith and other artists who have gone on to be that big that people that don't even listen to music would recognise their names. Although Live At Leeds does have this reputation of finding international stars before anyone else, sometimes they don't have to look very far as they always tend to have local bands from Leeds, in the past they have been one of the founding fathers of Marsicans and this year there is even more local talent than ever with bands such as Hookworms, Eagulls, Menace Beach To Vitamin and Carnabells. The festival will include a substantial amount of artists, over two hundred of them to put a number to it, there really is music for everyone and for £27.50 that works out at about 13p a band. The festival will take place at twenty five venues including the iconic Leeds Town Hall, the legendary Brudenell Social Club and new venues The Key Club and Belgrave Music Hall. Band Scars On 45 will also be doing a completely free gig at Trinity Kitchen where there will be a special stage set up (information on the website). For £27.50 and a bank holiday weekend get yourself down and have a Saturday of music, discovery, new talent and a Saturday you won't forget. It's a great way to get you ready for festival season.